“I’m not a teenage girl, and I wasn’t selected to appear in makeup ads. I’m a 31-year-old dude, a reporter for the New York Daily News who was picked off a Manhattan street to become one of the faces – and bodies — of Dove’s new line of skin care for men,” so writes Rich Schapiro in a new Lemondrop.com article. 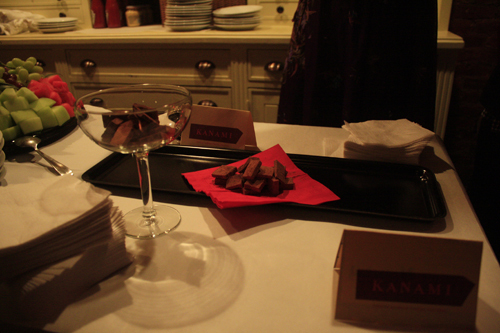 I was so happy to be invited by Kanami Kawaguchi, founder of Kanami Chocolates, to taste some of her unique homemade organic treats. She makes a special Japanese chocolate called “nama choco” (“nama” means raw in Japanese). The shocking thing is, Kanami has never even tasted her own chocolate. An allergy prevents her from eating cocoa (although I’m not sure that alone would keep me away from chocolate, unless it was deadly or something). But anyway, this lead me to wonder just how exactly she finds the perfect taste. 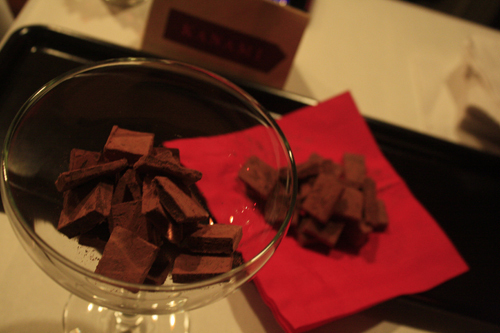 I tried three types of the nama choco chocolate. My favorite was the Toasted Almond Marshmallow Chocolate Chunk. The light velvety texture produces a melt-in-your-mouth chocolaty goodness, and the marshmallow takes the chocolate to another delightful level. Quite honestly, it’s unlike anything I have ever tasted in New York…or America for that matter. Any other chocolate fiends out there?? My favorite designer right now is: Diane von Furstenberg – LOVE her colorful prints! People usually compliment my: Boots. I have a slight obsession with buying a great pair of leather boots. My favorite makeup tip: Powder bronzer. I always sweep a little on my cheeks and t-zone (Maybelline Stay-True Bronzer in Sun Light is my fave) to get a healthy glow, even in the winter. Current beauty product obsession: Pink lipstick! Bright pink lips are so fun. Guerlain Kiss Kiss carries a lot of pretty pink shades, and the color stays put all day. 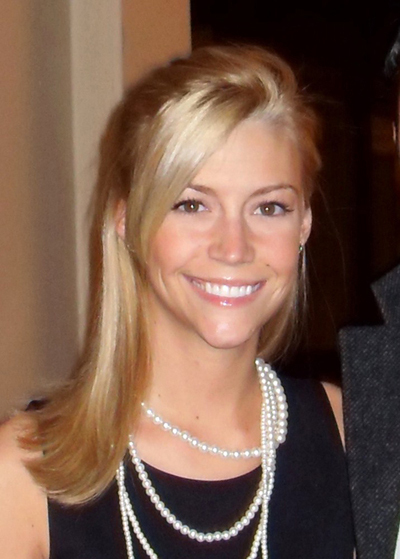 But I also can’t live without: St. Ives Apricot Scrub – I’ve been using this to exfoliate my skin since I was 13. It leaves your face feeling amazing and smooth. My favorite hair product is: I usually don’t use any, but my mom recently gave me a bottle of Moroccan hair oil. After testing it out it left my hair super soft and healthy feeling – I may start using it regularly! I don’t understand people who don’t like: Guacamole – delicious on nearly everything. The restaurant I can never get tired of is: Quartino in River North (Chicago). I love the casual, rustic environment and the great selection of wine and cheeses. The tortellini dish is to die for! People would be surprised to know: that I was a complete tomboy when I was younger. My idea of a fashion splurge was a new baseball hat. What inspires me: Hearing or reading news stories that spotlight young adults who have dedicated themselves to supporting a cause they are passionate about. These stories inspire me to become a more selfless, well-rounded human being. Shu Uemura leaving the US! I have a feeling this is going to break a lot eye-curling aficionados’ hearts. WWD is reporting that L’Oreal (the parent company of Shu Uemura) said Monday that it will close all U.S. operations of Shu Uemura Cosmetics. Apparently the bulk of its sales are in Asia, so by pulling the brand here, they’ll be able to focus on their bigger money-making brands, like Kiehl’s and Lancôme. Yup, that means no more Tokyo Lash Bar in the renovated Bloomingdale’s makeup floor that just debuted last Fall. Time to stock on all your Shu Uemura faves! Unless you don’t mind shoping online, which will be the only way you’ll be able to get it here. Did you have any Shu Uemura products you’ll be running out for now? I’ve tried my fair share of fro-yo joints, but this one’s hands down my favorite: IceBerry in the DC-area. I can seriously eat it any time of the day. It’s probably a good thing I end up eating it as a meal otherwise you might see a froyo-induced contingent appear soon on my waistline. Must not jinx self in blog post, must not jinx self in blog post, must not… The silver lining: it’s not loaded with calories (yes!). Plus, all you lactose-intolerant folk have no excuse — yogurt has enzymes that assist in breaking down dairy, allowing said people to ingest yogurt and frozen yogurt with little or no side effects. Plus, it’s an immune system aid says Iceberry’s website: a University of California at Davis showed that the gamma interferon level increased 300% by consuming 16 oz of yogurt (with live cultures) a day. 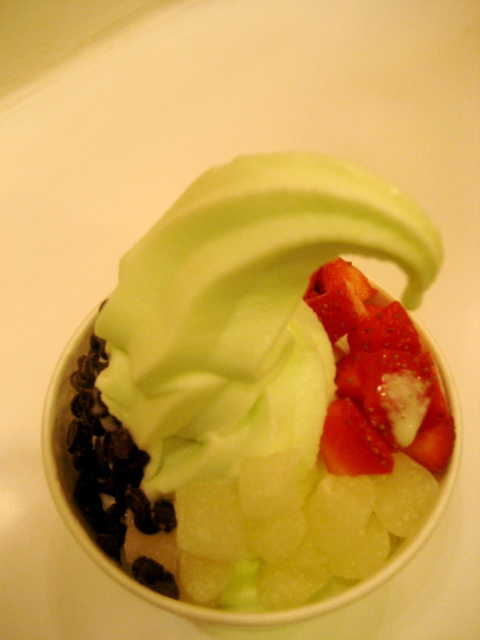 IceBerry’s honeydew flavor is my favorite. I suggest topping it with mochi, then pick two others favorites of yours. On this particular day, I went with strawberries and chocolate chips, but you can’t go wrong with a selection choice of pineapples, mangoes, blueberries and raspberries among others. Maybe I’m crazy, but after my first visit to IceBerry, I came home and created a Facebook group for the company. THAT’s how much I love it. But considering there are so many similar frozen yogurt places, I have to ask: What’s your favorite fro-yo joint? 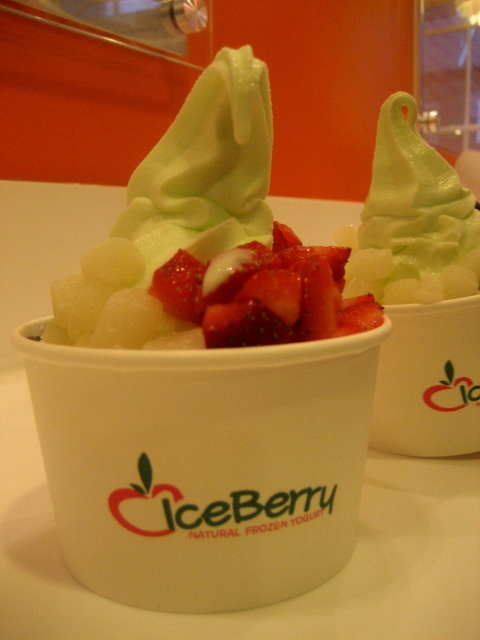 Check Iceberry’s website for more locations! I love hair products that do all the work for you. This is one of those. 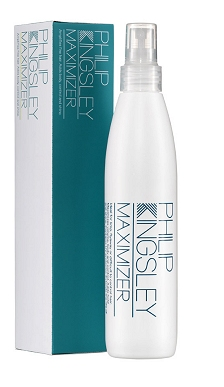 This particular product is prescribed to give volume particular for fine hair and control flyaways. It says to spray a little to your roots before you blow dry, and throughout the ends for more volume. I wouldn’t consider my hair fine, but it can fall flat near my bangs and on top. So I just added just a few spritz to my roots before blow drying — volume it most definitely gave. The thing I love most about this was it’s super lightweight. It not only feels like you have nothing in your hair, it won’t go stiff or greasy on the roots like most body-building hair products do. Hydrolyzed keratin also means (hair-identical) silk protein for healthier looking hair. I tried it again this week to make sure it wasn’t a one-time fluke. Happy to say I got the same body, shine, and volume I was hoping for once again. Available at philipkingsley.com; $20 for the 125 mL, and $35 for the 250 mL. What do you use to add body to your hair?